So… you have booked a hot DJ for your party. Guests will be dancing and interacting with this swami of beats all night long. 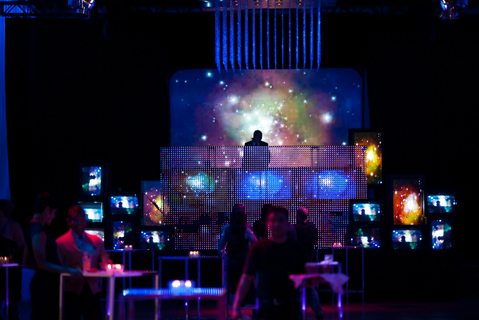 Don’t forget to give some thought to creating an exciting look for the DJ’s stage. 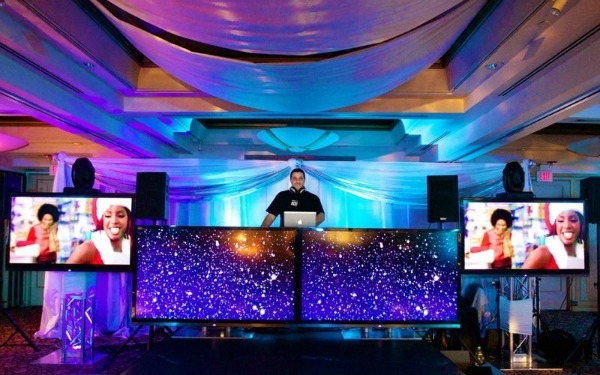 Sure, having a table covered by a linen may be a “clean” and “professional” look, but you may consider upping the ante by creating a custom stage for your DJ. Adding glowing panels, flat screens to show custom content, and stage lighting can enhance the performance of the act mixing behind the table. It is sure to add excitement to your party experience!